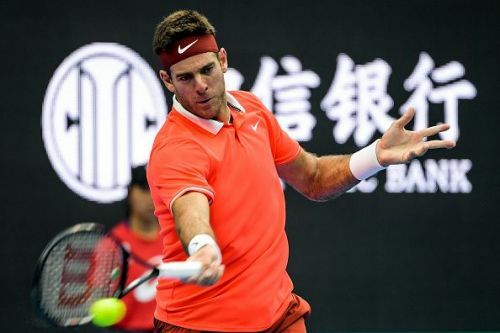 Will Del Potro avenge Los Cabos loss to Fabio Fognini in China Open? It is quite surprising that two top ATP players who have been playing tennis at an elite level for more than a decade have met each other only twice. But that’s the case with the Argentine “Tower of Tandil” and the ever-entertaining, ever-unpredictable Italian. In their most recent meeting, it was Fognini who got the better of the top-seeded Argentine in the Los Cabos final. They are set to meet for only the third time in their career in the Semi Final of China Open. They have split their two encounters so far. So, who is going to surge ahead in the head to head by winning this encounter? Both DelPo and Fognini have had a stellar 2018. Even though Del Potro won his only Grand Slam in 2009, one could argue that in terms of sheer quality and consistency, 2018 probably surpasses 2009! He won his first Masters 1000 in Indian Wells, and came very close to winning his second Grand Slam at the US Open. On the other hand, this is undoubtedly the best year on tour for Fognini so far. Fognini has already won 3 ATP tournaments and is coming off a runner-up finish in another. He has already won a staggering 43 matches on tour so far. The talented Italian, known for his on-court antics and meltdowns, seems to have matured a lot this year. The theatrics have largely given way to consistency. 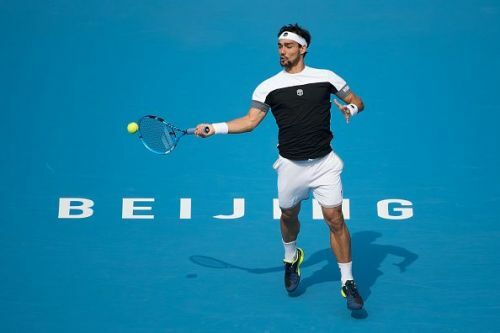 Fognini’s form in the China Open has been quite good. Except for the Opening round match against Radu Albot that went to a third set, he was largely untroubled against Rublev and Fucsovics. Del Potro too is in excellent form. None of his matches have gone to a third set. But he has spent much more time on the court, thanks to his decision to play doubles as well. It is possible that physically, Fognini may have an advantage in this encounter against a slightly tired Del Potro. I expect this to be a close encounter.